Renée Knight’s 2015 debut Disclaimer made her an international phenom across the thriller and suspense genre, and rights to the book were sold in 31 countries and it was optioned for film by Fox Searchlight. Knight's new novel, The Secretary, is a chilling psychological tale of power, devotion and betrayal. Christine Butcher, a Personal Assistant to television personality and charismatic business executive Mina Appleton, understands what is expected of her, nothing but absolute loyalty and total discretion. Born to serve, Christine quickly becomes Mina’s most devoted servant, entrenched in her affairs both in and out of the office. For nearly twenty years, Christine is by Mina’s side, watching and listening, a faithful ally sitting at the heart of events, holding her tongue and never speaking out of turn. Through it all, Christine is absorbing the secrets that surround her. Neither woman, though, is quite what she seems. When Mina’s reputation is threatened with exposure, Christine does not hesitate to lie for her in court. One of the most stunning portraits of pathological fixation in recent memory, Knight’s creation of Christine Butcher is as disturbing and compelling as Daphne Du Maurier’s Mrs. Danvers from Rebecca. Knight gracefully steps back and forth in time, using Christine’s unnerving narration to build to an unforgettable psychological crescendo, and a finale that is sure to create chatter. What happens when the line between loyalty and obsession is blurred beyond definition? How is one to recover when betrayed by someone to whom they have given everything? 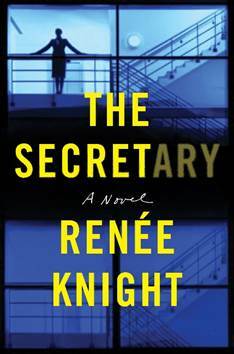 The Secretary is an addictive, twisting novel that will keep you on the edge of your seat, and Knight said of her jumping off point for writing The Secretary, "Over the years there have been a number of cases where a secretary has been in the dock, as a witness or, on occasion, defendant. I was intrigued by the details that emerged of the relationship between the powerful and those who serve them, particularly the question of loyalty. How far would you go to protect your boss?" Knight writes in the voice of Christine, such as this part where she is with her daughter Angelica in Mina's office: It still surprises me, looking back, how moments of innocence can take on the appearance of devious intent over the passage of time. How a cynical eye can twist things out of shape, and turn them into something that must be explained and justified and defended. I remember the weekend of the office move as a pleasant one, not as something to be picked over and dissected. 'It'll be fun,' I said to Angelica on the train up to London. I'd enlisted her help that Saturday. 'You'd like to see where I work, wouldn't you, love? Dave's coming to help and he's bringing his son. You can earn a bit of pocket money. We'll order in pizza for lunch and eat in the boardroom.' She shrugged and turned away. She was twelve and I'd hoped she'd be as excited as I was to see the new offices Mina had created on the top floor, but not a bit of it. Adolescence had come early for Angelica and, with it, and indifference to me that only hardened over the coming years. In Lord Appleton's day, the top floor had been panelled in dark wood and hung with heavy oil paintings of country scenes but Mina ripped it all out with the zeal of an invading foreign power. It was as if the shutters of a fussy, old house had been pulled back, the windows and doors flung open and fresh air, at last, let in. It seemed to promise a new era of transparency. I left Angelica to unpack and arrange the shoes Mina kept in the office - standbys for last-minute engagements - while I went next door to unpack my things. I sat behind my desk and looked out at the clean, bright space and felt a tingle of pleasure. A room of my own. That place was a sanctuary to me. I had more joy in unpacking and setting out my things in my new office than I'd had when we'd moved into our new home. Dave's son was in the doorway, holding a box. I smiled and went over, peeling back the flap. Inside were papers and files Mina had asked me to clear from a drawer in her desk. Relics, she'd called them, from my father's time. I went to fetch Angelica, and found her wearing a pair of Mina's shoes, sitting behind the desk with her feet up. She swivelled around in the chair and looked at me. In her hand was a pen, and she held it lit like a cigar, bringing it to her lips and inhaling imaginary smoke. 'Could you fetch me my lunch, Christine? Bring it to my desk. And hurry up about it. I'm starving,' she said. I laughed, but I didn't find it funny. She kicked off the shoes, then curled her feet up beneath her on the chair, cooling a strand of her hair around her finger. It wasn't a bad impersonation. 'Why aren't you at her wedding?' she said. I hadn't realized she knew Mina was getting married that day. 'I'm working. This is work, in case you hadn't noticed. Now, come on, let's go and eat.' I kept smiling as I picked up Mina's shoes from the floor and took them to the cupboard. 'You've done a great job here, Angie,' I said, running my eyes over the shelves, hoping to distract her. I crouched down, putting the shoes away, keeping my back to her. I stood up and shrugged, not knowing what to say. I was embarrassed, and she saw it. 'I'm sorry, Mum.' She got off the chair, came over and gave me a hug. 'It was only banter.' I wished I'd been able to conceal my hurt better. She was only twelve and I didn't want her to feel bad for me, yet even at her tender age, she'd sniffed out the blurred lines in my relationship with Mina. 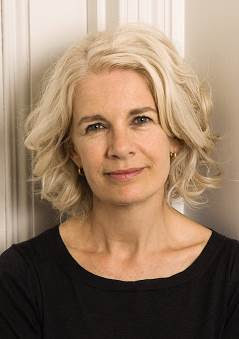 ABOUT RENEE KNIGHT: She worked for the BBC directing arts documentaries before turning to writing, and has had TV and film scripts commissioned by the BBC, Channel Four and Capital Films. In April 2013 she graduated from the Faber Academy “Writing a Novel” course—alumni include S.J. Watson. Knight lives in London with her husband and two children.